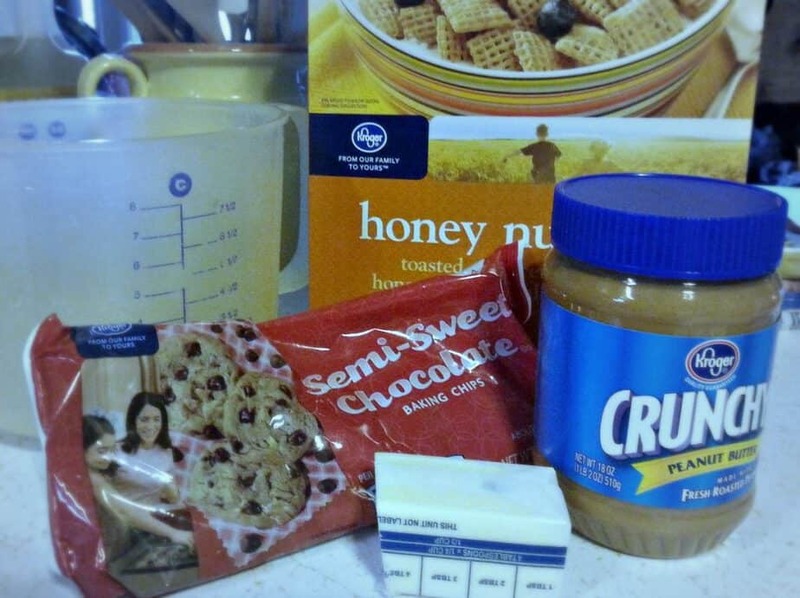 When snack time arrives it is often discouraging for those of us with Gluten allergies because our options are limited. Holidays approaching mean there are parties and events to attend where snacks may not always be gluten friendly. 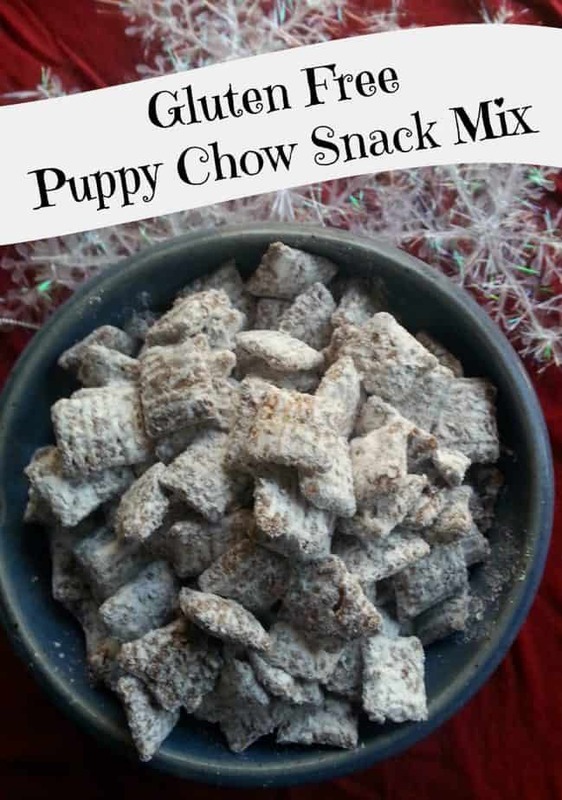 This Gluten Free Puppy Chow Snack Mix is the perfect treat to create for yourself to snack on daily or to take along to your next party. 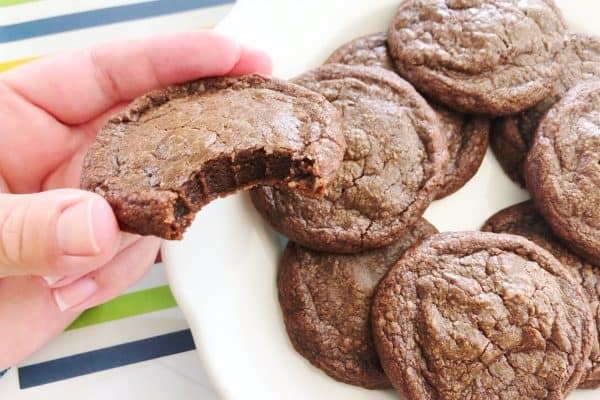 In a medium microwave safe bowl melt chocolate chips on high in 30 second increments until mostly melted. Pour cereal into large bowl. Pour chocolate mixture over cereal and stir until well coated. Pour powdered sugar over cereal mixture and stir until well coated. 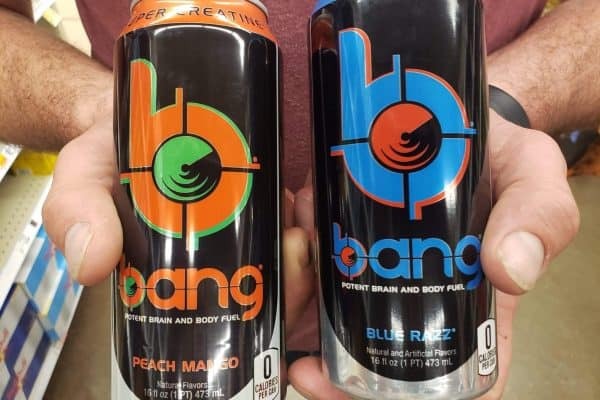 Beware that once you try this, you will be addicted. 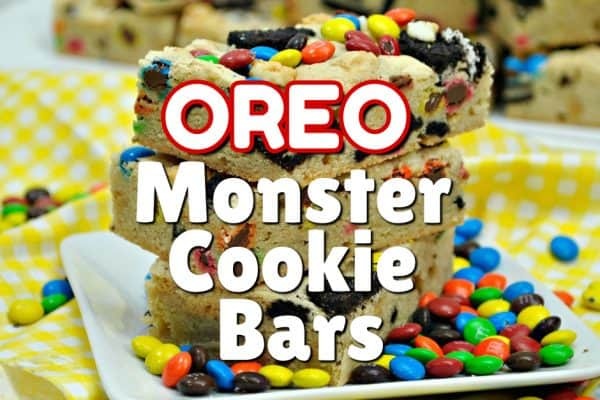 It is so yummy and a perfect on the go snack. Grab a few decorative holiday tins and some pretty ribbons and fill them with this great treat to take to friends, neighbors and family for a special holiday gift made just for them. 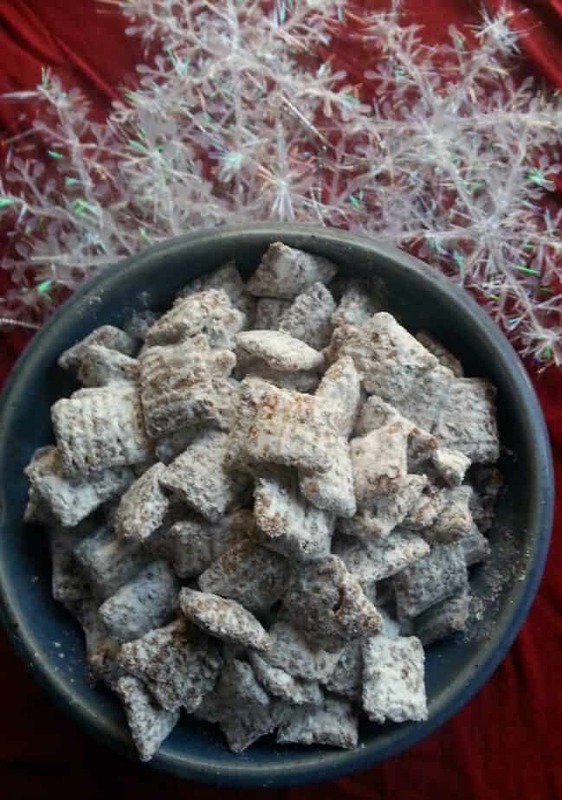 This gluten free Puppy Chow Snack Mix is sure to be one of your go-to treats year round! Check out our other Gluten Free recipes!